UPDATE: All these suggestions are still very good options for last minute stocking stuffers. 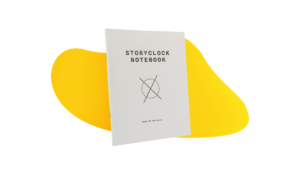 And if there’s a writer in your midst, I’d also like to suggest Seth Worley’s excellent StoryClock Notebook system for developing an idea. $14.99 at Plotdevices.com. Add the Storyboard Notebook and you get a bit of a break on the price. 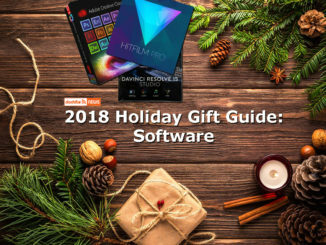 We’ve covered Filmmaking hardware, Drones, Go Pro Accessories, Computers and Tablets, Virtual Reality gifts, Software, Lenses, and Apps. Even the Cool Stuff. Is there anything left? Of COURSE! 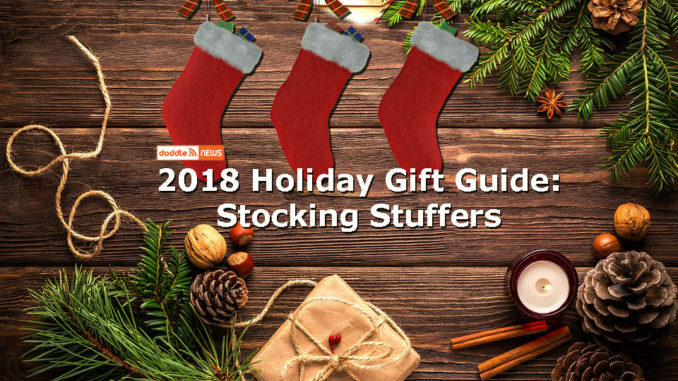 With Santa Claus coming to town, what respecting Gift Guide would be complete without Stocking Stuffers for Filmmakers! iOgrapher MultiCase. 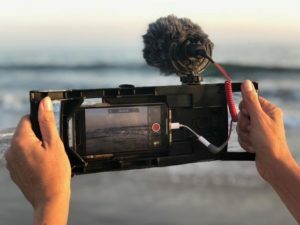 Invented by former high school video arts teacher Dave Basulto, the iOgrapher is a two-fisted stabilizer case that turns your mobile deviceinto a mobile cinema camera. What’s really great is that it’s platform agnostic, and can fit any size screen. That makes it the best iOgrapher yet.It’s ideal for the budding Spielberg on your gift list, but it’s also great for a YouTuber or Citizen Journalist because it also has tripod mounts, and places to put lights and an external monitor. Now sure, may be a bit too big for a stocking, but Santa is sure to make it fitt in on Christmas Eve. $79.99. And while it may betook late to get it from B&H (link) or Amazon Prime (link) for that last minute shopping online, they are available at Best Buy as well. The Writer Emergency Pack by John August. If your favorite filmmaker or writer has trouble coming up with an idea, or has gotten stuck with where to take his script, the Writers Emergency Pack makes the ideal stocking stuffer. Based around a deck of playing cards, the WEP will take their minds into directions they are having trouble seeing by giving ideas of what comes next in the story. 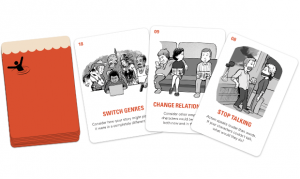 The pack contains 26 illustrated cards each featuring a different idea on story, character and conflict. For each illustrated chard, there’s also a matching detailed card for deeper suggestions guiding the direction. $19 at JohnAugust.com. While there, you may want to check out August’s 200 episode podcast Scriptnotes, which is available on USB for $20. 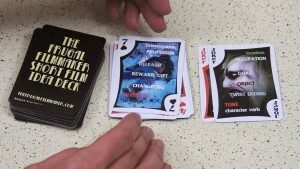 Another spin on the deck of cards to brainstorm meme comes from Frugal Filmmaker Scott Eggleston, who has his own Short Film Idea Deck. Similar in basic idea as the deck above, but while John August’s pack is more literary in nature, Scott’s Short Film Idea Deck is more aimed straight at the screen writer or director with ideas on changing location, mood, protagonist goals and twists and more. And its nearly half the price. $12 at PrinterStudio.com. SD Cards. FAST SD Cards. As we begin to move into 4K cinema, filmmakers are going to need faster media cards, and plenty of them. 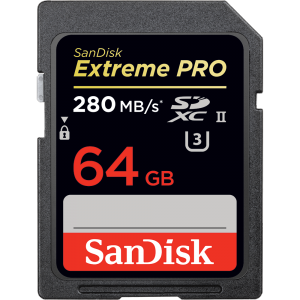 The best i the market for my money are Sandisk Extreme Pro SDHD/SDXC UHS-II memory cards. Able to write up to 250 mb/s, these memory cards fly with U3 speed with capacities up to 64GB per card. $105 at Amazon for 64GB. If that’s a bit pricey, you can get the slightly slower UHS-1/U3 cards for about $23 for 64GB and sizes up to 512GB. Pick up the Pelican 0915 Black SD Memory Card Case for $25. Stores up to a dozen SD cards, 6 mini and micro SD cards. And is Pelican tough, made from Polycarbonate resin. Beer Koozies. Now bear with me here. It may seem a bit out of the box, and no, I’m not suggesting you get your favorite filmmaker drunk to make his movies better. Beer cozy’s do way more than keep a bottle of Blue Moon cold. 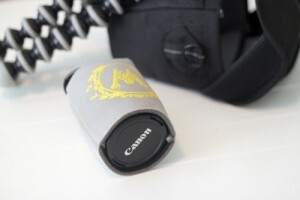 They make outstanding lens sleeves to offer another level of protection to camera lenses. I like the foam ones, but even the thinner neoprene rubber ones are good for this. And with the ability to get them with fun and crazy sayings on them, they can do double duty as a practical gag gift that keeps on giving! 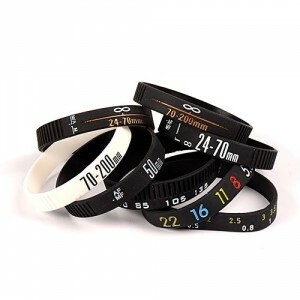 DSLRKit’s Photographer’s WristBand Set (link). We’ve all seen those colorful rubber wrist bands for just about any good cause. Invented by cyclist Lance Armtrong’s Livestrong foundation, these rubber wrist bands are now everywhere. I use them to color code my lenses so I can grab them out of my bag with a quick glance. They can also do double duty by being a buffer for a pull focus ring attachment. They can also guard against something called “zoom creep” which causes your lens to slip by gravity. And they’re under $10 with free shipping from Amazon. 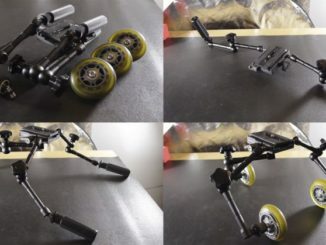 Gorillapod (link). 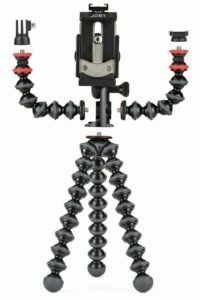 With it’s ability to wrap around just about anything and provide a stable camera mounting platform, the Gorillapod makes a great stocking stuffer even if your favorite filmmaker already has one or two. You can’t have enough of these things and at $35, they’re a steal. I like the Mobile Version. It’s got ARMS (link)! Audio Recorders. Any filmmaker who has to rely on the audio in their camera is being creative from the seventh level of hell. So why not help them along with a pocket digital audio recorder? Ranging in price from $99 for the bare bones Zoom H1n (link) (my personal favorite), to the top of the line H6 which offers six track recording from interchangable microphones at $400, a portable digital recorder will make their films sound better than they look. Lavalier Mics. 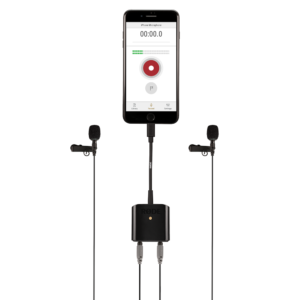 The RØDELav lavalier microphone (link) is great because it can not only work with a portable recorder or even plug directly into your camera, but you can also use them with your iPhone. So you can wire up your actor, hit record on the RodeRec app and slip it in a pocket before you call “action,” and get high quality recording. The lavs have a tiny footprint on camera too. RØDE SC6-L Mobile Interview Kit – RØDE’s latest lavalier setup is smartphone centric is really a must have if you’re looking to shoot on camera interviews and record to your iPhone. The Interview kit will work with other third party sound recording apps, and also the RØDERec app, which I think works better. The interview kit comes with the SC6-L lightning dongle, two smartLAV microphones and clips, plus windshields. 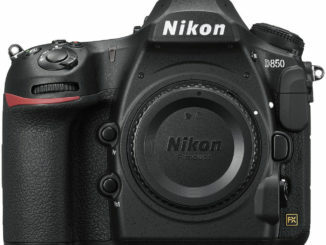 Price is $199 with free shipping at Amazon.. $199 at Amazon (link) and B&H (link). Extra Power. Whether your favorite filmmaker shoots on a DSLR or GoPro, extra batteries are always helpful. Even a mobile phone can benefit from a super battery that can be plugged in while on location. So tossing in a few Smatree GoPro Batteries, or the Jackery Giant USB Power Brick will add hours of additional power to any location shoot. You can also do double duty by putting a PolarPro PowerPole into that stocking. 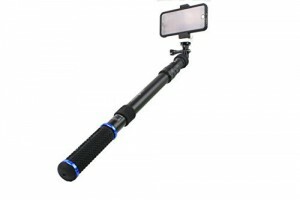 With batteries built into the hand grip, this extension selfie stick will be able to capture all the action from a third person perspective of your action sports geek all day long, and still have enough juice to top off that mobile phone. $99 from PolarProFilters.com, but they’re currently offering 15% off, thanks to a successful appearance on ABC’s Shark Tank.